Corporate Living Logo - Advantage Talent Inc.
What we are witnessing in the age of social media is the battle for control of the Corporate Brand. Each of your employees fall into the following categories: Brand Ambassador, Brand Neutral or Brand Detractor. 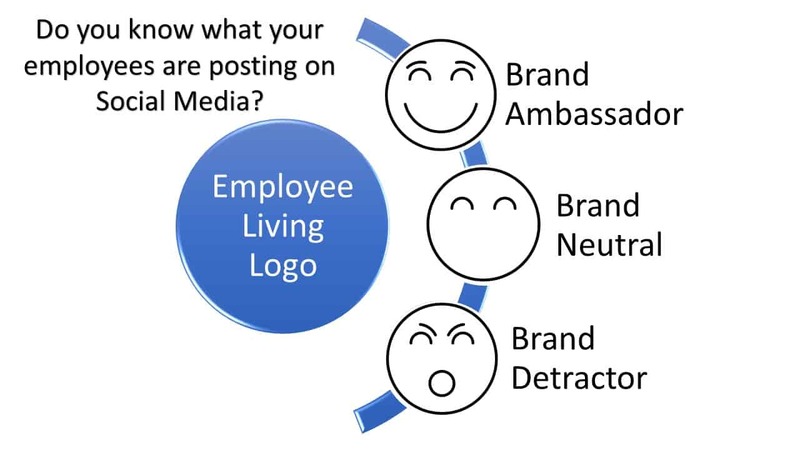 Executives have a choice of owning the Employee Living Logo for brand optimization or be disengaged and owning the consequences. Our Employee Living Logo System is for Corporations who want to learn how to create a great Employee Living Logo that keeps their brand relevant, influential, and in-demand. To quote Disney, “It’s a Small World After All.” Social Media has made it that much smaller.